1 marzo, 2016 Natividad de los Mares28 comentarios en REFLEXIONES SOBRE EL ITA!! CADA DIA AVANZAMOS CON LA BENDICION DE ORISHA Y NUESTRA FE EN ELLOS. CUANDO INICIAMOS EN ESTA RELIGIÓN ESCUCHAMOS RELATOS SORPRENDENTES SOBRE QUE CUANDO HACEMOS SANTO NOS PROHIBEN COMIDAS,ACTIVIDADES,AMORES,ACTITUDES Y HASTA FORMA DE PENSAR. SABEMOS QUE ESTO SUCEDE EN LO QUE ES “EL ITA”,PERO EN REALIDAD HASTA PASAR POR ELLO NO LO ENTENDEMOS,Y HAY QUIENES SE VAN AL MUNDO DE LOS MUERTOS Y NUNCA LO ENTENDIERON. CON ESTE ARTÍCULO ME PROPONGO REFLEXIONAR EN VOZ ALTA LO QUE SUCEDE CON EL ITA Y SUS REPERCUSIONES. EL ITA INICIA CUANDO EL ORIATÉ ANTES DE LAS 12 DEL DIA REALIZA LA CEREMONIA QUE SE LLAMA ÑGAREO,(perdón si no se escribe asi),LA CUAL CONSISTE EN PEDIR LA BENDICION A OLOFI,OLÓRUM,OLUDOMARE,Y TODO LO QUE DESDE EL CIELO NOS BENDICE Y DARLES CUENTA DE QUE EL IYABÓ QUE ACABA DE HACER SANTO HARÁ ITA MALÉ, Y QUE ELLOS PERMITAN QUE LAS PUERTAS DEL CIELO SE ABRAN Y BAJEN LOS ÓRDUNES,(letras), PERMITIENDO DE ESTA FORMA QUE LO QUE ESTÁ ESCRITO PARA ESA PERSONA, ELLA O EL PUEDA SABER LO QUE ORISHA TIENE DESTINADO Y LE AYUDE A VIVIR SU VIDA TERRENAL EN PLENA ABUNDANCIA Y GRACIA DE SALUD,ESTABILIDAD,FIRMEZA,PROSPERIDAD,Y ETC,ETC. ACTO SEGUIDO SE ENTRA AL LUGAR DONDE SE TIENE DESTINADO HACER EL ITA, Y EN PRESENCIA DE SUS MAYORES COMO TESTIGOS, EL ORIATÉ REALIZA EL ITA, TOMANDO DE LA MANO DE EL IYABÓ LOS CARACOLES,MARCANDO ENTONCES ESAS LETRAS, BUSCANDO “EL CONSEJO” DE ORISHA, Y DETERMINANDO QUÉ DEBE DE HACER,CÓMO DEBE DE VIVIR,QUE ASPECTOS DEBE DE CAMBIAR,QUE COMIDAS LE PUEDEN SALVAR HACIENDO EBBO,POR ELLO NO LAS PUEDE INGERIR COMO ALIMENTO,QUE SANTOS A LO LARGO Y ANCHO DE SU VIDA DEBERÁ RECIBIR PARA MANTENER EL IRÉ QUE NECESITE. TODO LO DICHO, CAMBIA O DEBE DE CAMBIAR RADICALMENTE LA VIDA DE EL NUEVO RELIGIOSO QUIEN AHORA ES IYABÓ,Y PASADO UN AÑO Y SIETE DIAS SERÁ SANTERO. Y ESTE ES EL MAS GRANDE RETO DE QUIEN HACE SANTO Y TIENE UN ITA, YA QUE DEPENDIENDO DE QUIEN LE HAGA SU ITA E ITERPRETE SUS LETRAS , LO QUE VA A SUCEDER EN ADELANTE SERÁ DE GRAN BENEFICIO PARA IYABÓ. HEMOS VISTO O SABIDO QUE NO SIEMPRE ES ASI,POR QUE NO ES FÁCIL RENUNCIAR A UN VICIO, A UN AMOR, A UNA FORMA DE SER. TAMPOCO LO ES CAMBIAR DE CARÁCTER, RENUNCIAR A POSTURAS DE TODA LA VIDA Y ADOPTAR UNA NUEVA FORMA DE VIDA,DE PENSAMIENTO Y COSTUMBRE QUE NOS MARCA EL ITA. ENCIMA DE ESO, TENEMOS QUE CORRER CON LA SUERTE QUE NUESTRO PADRINO O MADRINA TENGA EL CONOCIMIENTO PARA GUIARNOS SEGÚN NUESTRAS LETRAS, Y MAS FUERTE PODER ADAPTARNOS A ESE ITA SIN SENTIR QUE NOS ESTÁN ESTRANGULANDO POR DECIR ALGO! HAY ITACES QUE RESUMIENDO MARCAN QUE TENEMOS QUE CONVERTIRNOS EN OTRA PERSONA Y ESO NO SE ASUME FÁCILMENTE , MENOS SI ITÁ DICE QUE SUS OZORBOS VIENEN DE SU PROPIA CABEZA!! QUE LÍO!!! ITA CREO YO,NADIE LO CUMPLE A CABALIDAD,SI HACES SANTO CON BASTANTE EDAD, ES DIFICIL, POR QUE LORO VIEJO NO DA LA PATA,Y SI LO HACES MUY NIÑO,POR QUE NO LO ENTIENDES NI COMPRENDES. AH!, Y HAY QUE MENCIONAR QUE ITA TAMBIÉN HABLA CON LOS QUE ESTÁN PRESENTES Y MUY IMPORTANTE,LE DEJA SABER A LA MADRINA O PADRINO QUIEN ES REALMENTE ESA PERSONA,QUE ACABA DE CONSAGRARSE COMO SU HIJO (A) DE PIEDRA, Y SEGUN LO QUE SALIÓ EN ESE ITA EL MAYOR SABE CÓMO CONDUCIRSE Y CÓMO GUIAR A SU AHIJADO, LO QUE A VECES NO ES BIEN ENTENDIDO POR AMBAS PARTES,O ALGUNA DE LAS PARTES! EL SIGNO U ÓRDUN QUE RIGE A IYABO, Y A CADA SANTERO EN ESTE PLANETA,ES EL PRIMERO DE ELEGÚA Y EL PRIMERO DE SU ÁNGEL DE LA GUARDA,ESO DEFINE QUIENES SOMOS,Y LO QUE VINIMOS A SER Y HA HACER EN ESTA TIERRA. Y ESO NO CAMBIA JAMÁS,NI CON EL ITA DE PINARDO COMO SE DICE POR ALLI. EL AÑO QUE SIGUE A EL ITA,CONOCIDO COMO EL YABORAJE, ES DE PRIMORDIAL IMPORTANCIA,POR QUE EN ESE AÑO LOS ÓRDUNES SE ESTÁN ASENTANDO EN LA VIDA DE EL INICIADO, EL ÁNGEL DE LA GUARDA ESTÁ FLUYENDO PARA LOGAR LA FELICIDAD DE SU HIJO,BAJO SU PUNTO DE VISTA,SABIENDO LO QUE ES MEJOR PARA ÉL O ELLA! LO QUE NO SIEMPRE SERÁ LO QUE EL IYABÓ ESPERABA QUE FUESE. DE ALLÍ QUE EN MUCHAS CASAS DE RELIGIÓN SE ENTREGA LA LIBRETA Y SE DESPIDE A EL IYABÓ CREANDO GRANDES DESCONCIERTOS,POR QUE EL PADRINO SABE POR EL ITA,QUE ESE NUEVO RELIGIOSO NO TENDRÁ LA DISCIPLINA NI CULTURA PARA PERMANECER EN SU CASA DE RELIGIÓN,Y PARTEN POR LA PRIMERA; O QUE IYABÓ ESCUCHANDO ITA SE DECEPCIONE Y ENTRISTEZCA POR QUE ITA LE PROHIBE EL MARIDO QUE TIENE,O LA NOVIA O ESPOSA(o),O EL NEGOCIO DE TODA SU VIDA,Y NO ACEPTE QUE ESO ES LO QUE LE PERJUDICA Y SEGUN ORISHA DEBE DE CAMBIARLO. ENTENDIENDO QUE CADA ORISHA QUE HABLA EN EL ITA, SEGUN LOS ORDUNES QUE OLOFI TIENE PARA NOSOTROS, NOS ACONSEJA PARA QUE VIVAMOS EL IRÉ DE ESE SIGNO,NO EL OZORBO DEL MISMO. ITA DICE APRENDA A REACCIONAR, NO SE ALTERE,PIENSE PRIMERO Y DESPUES ACTÚE,NO ACTÚE SIN PENSAR,ACTÚE CON LA CABEZA FRESCA Y SU VIDA SERÁ MEJOR, Y UD VE AL IYABÓ GRITANDO Y REACCIONADO ALTERADAMENTE POR QUE NO ACEPTA QUE “ESO”,”ESO ES LO QUE ME VA A AYUDAR”, Y (jajajajajaja),AY DE LOS NUEVOS SANTERITOS QUE ESPERABAN QUE ITA LES DE LICENCIA PARA MATAR CON POLVOS,BRUJERÍAS Y ARMAS,Y EL CONSEJO ES TODO LO CONTRARIO!!! NO HAY QUE OLVIDAR QUE ORISHA SABE QUE NO ES LO QUE VA MEJOR CON ESA PERSONA. EN ITA LE DICEN A UNO, DEFIENDASE SI LO ATACAN, NO ATAQUE PRIMERO, Y A OTROS, TODO LO QUE TE HAGAN DE MAL,DÉJASELO A TU ANGEL DE LA GUARDA!! Y HAY DIOS!! ITA NO ES UN MEDIO DE CASTIGO Y PROHIBICION!, ITA ES EL CONOCIMIENTO DE LA RADIOGRAFIA DE NUESTRA VIDA PARA SER FELICES CON LA BENDICION DE ORISHA!! QUE LA BENDICION DE ORISHA LES ALCANCE SIEMPRE! Wow Wow Wow you are AMAZING always on target!!!! I BELIEVE IT ALL TO BE TRUE!!! I am so grateful for your honesty! Thank you for all your blessings and guidance. Without you I would not have survived because it was your honesty and insight that always kept me calm in my most trying times it was here that I came to read your calming soothing honest clarifications that helped me better understand the path I was walking. Today I am a better person for it. Today I am beyond grateful for all of Orishas blessings! Every day for the rest of my life will be open to continue to learn and become the best me I can possibly be! I thank you Natividad from the bottom of my heart! I look forward to meeting you one day whether in Panama o Cuba. I have just completed my yaboraje a year and seven days February 28th. I am the very proud daughter of Oya y Oggun. I had my moments of difficulty with plenty of trying times, ups and downs but Orisha never abandoned me and always put me back on track. It was all worth it! It is beautiful, it transforms you in a way that catches you by surprise and leaves smiles on your faces. My Santo birthday was simple but yet so elegant, they looked so beautiful and amazing!!! I did the best I could and they were happy and gave me beautiful letras and for this I am beyond grateful to all of them!!!! My family, friends, religious community were happy and all enjoyed themselves! Unfortunately and sadly my Madrina had to leave the week before because her sickly 92yr old Sister in Costa Rica became gravely ill. They went expecting her to pass which she did and knowing they needed to be there at least 9 days. My Madrina called me on the day of my birthday to give me her blessings as well as reprimand me for not carrying my cell phone on me. As of yet I haven’t heard anything whether she’s returned. I have always said this even before I began my journey THANK GOD for the Ayubonnas!!!!! Fatima I ask that you pray for me that my Godmother completes the commitment we made with Orisha when we began this journey of Kariocha in February 2015. To begin I am awaiting for my libreta de Ita. Thank you for always appearing in my life when I’ve needed you words of wisdom and encouragement! Que la Bendicion de Olodumare, Orunmilla, Olorun, Olofi, Orisha y Eggun siempre te alcance en tu vida y de tu familia y seres querido! Siempre sobre todo Salud! Ache! Disculpe que lo escribi en ingles si quieres y pudes translate to English. Sorry. Wonderfull?. Thanks,if you Beliebe in the effort that i do with love and some times whith a lot of scary of make a mistake and dont help of the needs that exist in the religius community,that be of lígth and goog guide i fell blessing.Orishas bless you and give all iré that you nedd. Gracias!👏 🙏😇 Siempre te seguire buscando con mucho carino estoy muy muy agradecida de poder decir “Si, hay tenido el privilegio de comunicar con Sra. 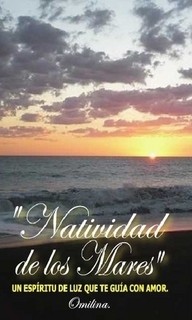 Natividad de los Mares y poder leer y buscar sus consejos muy sabios para el mundo!” Con mucho honestidad, que es lo que me valio demasiado mucho! El libro de Natividad es superior en la enseñasa. Me ayudo y calmo tanto en mi tiempo de yaboraje! Buenas Noches. Queria saber quien tienen la autoridad de leer la “Libreta de Ita” aparte de uno mismo? Gracias. Excelente comentario, gracias Natividad saber ésto o la forma como lo explicó es un motivo real para estar o tratar de cumplir con nuestro ita o por lo menos a tono con éste. Desde mi corazón Muchas Gracias. Hola, tengo una duda, ¿los santos pueden ordenar separarte de tu pareja aunque se amen y sean felices o pueden tener injerencia directa en las decisiones en la vida sentimental de una persona, el no obedecer a los santos y seguir el sentido común (o sea lo que debería ser) puede traer consecuencias? Yo no soy religiosa y respeto mucho la religión pero me surgen muchas dudas. Mi novio es hijo de Eleggua, nuestra relación es complicada porque es casado con hijos pequeños, dice que no ama a su esposa y que ve un futuro conmigo pero que no se puede divorciar ni la pude dejar, al menos no por el momento, porque su Itá y sus santos así lo marcan, hace unos meses le marcaban que tampoco debía dejarme a mi. Hace unos días terminamos por una discusión, más bien él me terminó, luego me busca y me dice que me ama y que se siente triste e impotente porque no podemos estar juntos, que ya no se trata del tema de la discusión que tuvimos sino que sus santos y su eggun le dicen que no es el momento, que debe pasar un tiempo, pero no le dicen cuanto, ¿puede ser eso o sólo está poniendo de pretexto la religión para no echarle ganas y deslindarse de la responsabilidad de tomar decisiones?. Hace alusión a un refrán que dice, con lágrimas en los ojos y sin entender nada, diré siempre Ashe a lo que mis santos me manden. ¿Puede ser que los santos condicionen de es manera? Me dice que él no puede actuar conforme a su libre albedrío sino que tiene que hacer la voluntad de sus santos, que yo no lo puedo entender porque no estoy en la religión, dice que se siente atado de manos y me coloca en la misma posición. Dice que ni su situación familiar ni nuestra relación dependen de él ni de mi, sino de lo que le ordenen sus santos. Aclaro, yo no me metí a destruir su matrimonio, esa relación ya estaba mal desde antes de que me conociera, yo entiendo que sus hijos siempre serán sus hijos y son su responsabilidad y que la madre de ellos de una u otra forma, al menos mientras los hijos sean pequeños tendrá que figurar en la historia. Pero no logro entender qué tan reales pueden ser sus argumentos para manejar las cosas de la manera en que lo hace. ¿Me puede ayudar, por favor? Hola, tengo una duda, ¿los santos pueden ordenar separarte de tu parja aunque se amen y sean felices o pueden tener injerencia directa en las decisiones en la vida sentimental de una persona, el no obedecer a los santos y seguir el sentido común (o sea lo que debería ser) puede traer consecuencias? Yo no soy religiosa y respeto mucho la religión pero me surgen muchas dudas. Mi novio es hijo de Eleggua, nuestra relación es complicada porque es casado con hijos pequeños, dice que no ama a su esposa y que ve un futuro conmigo pero que no se puede divorciar ni la pude dejar, al menos no por el momento, porque sus santos así lo marcan, hace unos meses le marcaban que tampoco debía dejarme a mi. Hace unos días terminamos por una discusión, más bien él me terminó, luego me busca y me dice que me ama y que se siente triste e impotente porque no podemos estar juntos, que ya no se trata del tema de la discusión que tuvimos sino que sus santos y su eggun le dicen que no es el momento, que debe pasar un tiempo, pero no le dicen cuanto, ¿puede ser eso o sólo está poniendo de pretexto la religión para no echarle ganas y deslindarse de la responsabilidad de tomar decisiones?. Hace alusión a un refrán que dice, con lágrimas en los ojos y sin entender nada, diré siempre Ashe a lo que mis santos me manden. ¿Puede ser que los santos condicionen de es manera? Me dice que él no puede actuar conforme a su libre albedrío sino que tiene que hacer la voluntad de sus santos, que yo no lo puedo entender porque no estoy en la religión, dice que se siente atado de manos y me coloca en la misma posición. Dice que ni su situación familiar ni nuestra relación dependen de él ni de mi, sino de lo que le ordenen sus santos. Aclaro, yo no me metí a destruir su matrimonio, esa relación ya estaba mal desde antes de que me conociera, yo entiendo que sus hijos siempre serán sus hijos y son su responsabilidad y que la madre de ellos de una u otra forma, al menos mientras los hijos sean pequeños tendrá que figurar en la historia. Pero no logro entender qué tan reales pueden ser sus argumentos para manejar las cosas de la manera en que lo hace. ¿Me puede ayudar, por favor? yobo mexico: se dice que es un periodo de pruebas para que ud demuestre su fe y religiosidad. no a todos le va igual. haga su ebbo meta,adore a yemaya,igual que a inle. Hola mi muy sabia Naty, fijate que estoy preocupado, llevo 4 meses que me corone Santo, justo iba a hacer mi rogacion de cabeza cuando unos delicuentes me robaron y se llevaron mi libreta de Ita. Le comente a mi padrino lo sucedido y su respuesta fue que empezara a guardar dinero por que ahora tendria que hacer PINALDO para que los santos hablen otra ves. Casi me voy de espaldas cuando me dijo que me gastare casi lo mismo que gaste cuando me corone santo. Le dije a mi Yubona y su respuesta me parecio tan sabia como las que usted brinda, me dijo: “En el ita los santos le hablaron a usted, le aconsejaron y le prohibieron, usted escucho su ita, la accion de escribir el ita en una libreta no lo hacian los primeros religiosos cuando los trajeron como esclavos, algunos ni sabian leer o escribir, y asi vivieron sus dias sin un ita escrito, solo cumpliendo con los consejos dados y todo les marchaba bien, usted ya tiene caracol de oggun para que cuando salga de su yaboraje pueda dar plumas a los santos, no veo para que gastar en PINALDO”. Aunque no recuerdo mi ita COMPLETO, si recuerdo las prohibiciones que me dieron los santos, los ebbos que tenia que hacer y que tenia que cambiar de mi comportamiento. ¿Usted cree que deba recibir PINALDO o solo apegarme a los consejos que me dieron mis Orishas cuando hablaron en ITA? Hola Sr Natividad de los Mares, tengo varios años siguiendo sus consejos y leyendo las cosas que comparten las de más personas. Me gustaría pedirle su consejo, ya que eh escuchado muchas cosas hacer a de cuando la persona se corona el santo; yo vivo en Estados Unidos, aquí la vida es muy demandante a comparación con loa países de América central y latino América. Aquí si no trabaja no come y si no trabaja horas extras apenas si alcanza para mantener a la familia. Mi cuestión es que me voy a coronar Santi con ayuda de Dios, Olofin y el Ángel de mi guarda Obatala y claro de todos los orisha y mis muertos. Me gustaría que me aconsejara en la question de cómo se puede llevar el yaboraje y el trabajo? Tengo dos empleos uno es en una fábrica y el otro soy fotógrafo de eventos los fines de semana. Como o que consejos me daría para poder llevar el yaboraje? Mis padrinos y la gente que conosco que se han coronado el santo dicen que todo sigue igual lo único que cambia es la forma de vertirse de blanco y seguir las cosas que salgan en él ita, gracias por adelantado y siga ayudando a mucha gente que como yo siempre buscamos una opinión que nos ayude a aclarar lo que vemos. José: no se preocupe siga las instrucciones de sus mayores.Bendiciones. Estoi. Dos semanas de coronarme mi madre Oya estoy muy feliz de dar este paso tan importante en mi vida. Pero hace como dos meses ciento algo que no entiendo y le pido un consejo mi Sra. Mi madrina ha sido buena y honesta pero yo siento una incomodidad he intranquilidad al estar en su casa. Y eso me tiene intranquila. Le Pido de la manera más humilde un consejo. Dentro de 2 semanas me coronó mi ángel de la guarda, Mi madre Oya y es una gran bendición para mi estoy feliz y tengo la fortuna de tener unos excelentes padrinos. irma: ud hizo todo lo que debia de hacer sobre su cuadro espiritual?. pareciera que el muerto le esta advirtiendo de algo. investigue. cuidado y despues se tiene que lamentar. Tengo mi bóveda y algunas representaciones de mis muertos, me hicieron mis de coronación y hace dos semanas me raye. 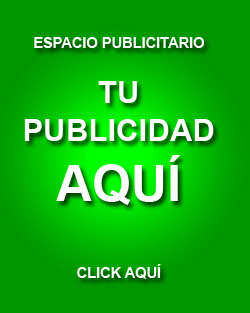 Me prodria explicar un poco mi sra lo que me dice(hizo todo lo que debía hacer sobre su cuadro espiritual) este es mi email olbanic@yahoo.com si usted lo quiere hacer en privado, agradesco infinitamenye su tiempo y consejos ya que mi preocupación es grande ya pague el derecho de coronarme mi santo y la verdad es muncho dinero. Todo está listo. Buenas Sra Natividad, bendiciones y mis mejores deseos para usted; estoy a días de coronarme santo, mi padre es Obatala. Quiere pedir su consejo ya que usted tienen mucha experiencia y ha visto muchas cosas. Ya faltan pocos días para coronarme me acabo de enterar que mis padrinos de religión están pasando por una situación personal de separación matrimonial, los dos son grandes personas y eh aprendido mucho de ellos, la question es que no quiero las minar a ninguno de los dos en tomar alguna decisión ya que uno será mi padrino y el otro mi yumbon. En situaciones como esta que es lo mejor que se puede hacer para que todos estemos bien sin malos entendido ni futuros problemas en caso de que se separen? Hola, respetable Naty, tengo una duda que le planteé desde marzo y no obtuve respuesta. ¿los santos pueden ordenar separarte de tu pareja aunque se amen y sean felices o pueden tener injerencia directa en las decisiones en la vida sentimental de una persona, el no obedecer a los santos y seguir el sentido común (o sea lo que es lógico) puede traer consecuencias? Yo no soy religiosa y respeto mucho la religión pero me surgen muchas dudas. Mi novio es hijo de Eleggua, nuestra relación es complicada porque es casado con hijos pequeños, dice que no ama a la mamá de sus hijos y que ve un futuro conmigo pero que no se puede divorciar ni la puede dejar, al menos no por el momento, porque su Itá y sus santos así lo marcan, hace unos meses le marcaban que tampoco debía dejarme a mi. La mamá de sus hijos sabe que él tiene una relación conmigo. Hace un par de meses terminamos por una discusión, más bien él me terminó, luego me buscó y me dijo que me ama y que se sentía triste e impotente porque no podíamos estar juntos, que ya no se trataba del tema de la discusión que tuvimos sino que sus santos y su eggun le dijeron que no era el momento, que debía pasar un tiempo, pero no le dijeron cuanto, ¿es eso posible? o ¿fue algo suyo para aclarar sus pensamiento o sentimientos?. Hizo alusión a un refrán que dice, con lágrimas en los ojos y sin entender nada, diré siempre Ashe a lo que mis santos me manden. ¿Puede ser que los santos condicionen de es manera? Me dijo que él no puede actuar conforme a su libre albedrío sino que tiene que hacer la voluntad de sus santos, que yo no lo puedo entender porque no estoy en la religión, en aquél momento me dijo que se sentía atado de manos y me colocó en la misma posición. Siempre me dice que ni su situación familiar ni nuestra relación dependen de él ni de mi, sino de lo que le ordenen sus santos. Aclaro, yo no me metí a destruir su matrimonio, esa relación ya estaba mal incluso desde antes de que me conociera, yo entiendo que sus hijos siempre serán sus hijos y son su responsabilidad y que la madre de ellos de una u otra forma, al menos mientras los hijos sean pequeños tendrá que figurar en la historia. Pasó una semana aproximadamente y aparentemente sus santos le dieron permiso de que siga nuestra relación y todo iba bien hasta hace poco menos de un mes que se registró y otra vez le aparece un signo que le dice que algo no está bien con nosotros, me dice que probablemente tengamos que separarnos, dice que puede ser algo temporal o definitivo, no lo sabe, no me explica bien de qué se trata, sólo me dice lo mismo, que se siente atado de manos, yo lo amo, lo cuido, le soy fiel, lo apoyo en todo incluso en cuestiones de la religión que sin ser religiosa me puedan ser permitidas y lo procuro, él dice amarme y dice que está haciendo ebbo para que podamos continuar juntos, pero que aún así no sabe si cuando termine y vuelva a registrarse le digan que lo nuestro puede o no puede seguir. Le salió un signo que él interpreta como que el perro tiene cuatro patas y un solo camino, yo le dije que quizá sus santos desean que si el me ama tome una decisión en cuanto a nosotros y opte por separarse de la mamá de sus hijos, pues creo que sería lo más sano para todos, él me dice que no se trata de eso. Yo le pregunto a él que si nuestra relación va a estar siempre así, me dice que no sabe, que el está sujeto a lo que los santos le digan, yo lo amo, pero no sé ya qué pensar. Honestamente no logro entender qué tan reales pueden ser sus argumentos para manejar las cosas de la manera en que lo hace.¿Me puede ayudar, por favor? Gracias de antemano. interesante publicacion, entoneces entiendo que el signo que rige al santero es el primer signo que dio elegua y el primer signo que dio el angel de la guarda, ejemplo: elegua obara di (6-7); angel de la guarda Iroso umbo (4-8): signo que rige es: obara iroso (6-4). es asi como usted lo plantea? ws así como me enseñaron a mi. Next Pensando en voz alta.